This glorious mythical beast will fill your space with soothing scent and legendary style. 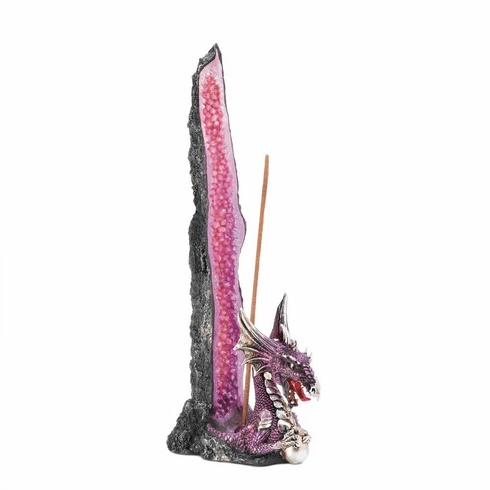 This incense stick stand features a tall purple geode and a purple dragon emerging from the rock formation, all made from durable polyresin. Simply place your favorite incense stick in the holder for great aroma and style. Weight 0.8 pounds. 2.75" x 4.25" x 10". Polyresin. UPC Number:849179029357.